The cloud is all around us. We use the cloud without even realizing it. Take this blog for example. Its content is being delivered on a cloud-based platform, but that’s just something we take for granted. Our clients are doing the really cool stuff. 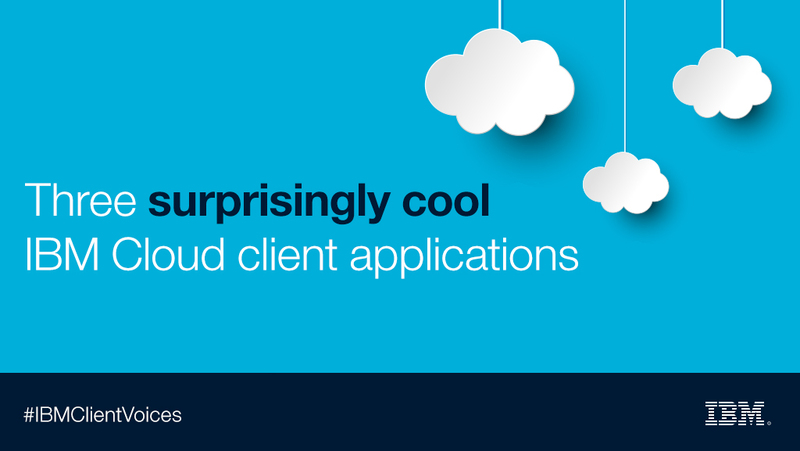 Our IBM Cloud clients are using the cloud to make some amazing innovations a reality. Let’s look at deliver.ee as an example. This Paris-based company has a solution built on the IBM Cloud that helps local retailers compete with the likes of Amazon.com. Deliver.ee teamed with IBM to launch its business. The company provisioned virtual servers in the SoftLayer Paris data center, quickly and easily migrating workloads from its DigitalOcean environment. Online retailers simply add the deliver.ee checkout option through a plugin or the deliver.ee API and customers can choose to receive their locally delivered purchases the same day or by appointment, wherever they like. You can learn more about it here. Or, how about Fabler Studios? 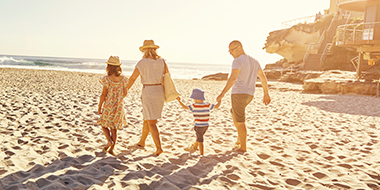 The company signed on for an emotional analytics offering from IBM Business Partner nViso SA, hosted in a flexible SoftLayer cloud environment. Using the high performance cloud-based platform, the studio receives moment-by-moment analyses of emotional responses to video content, captured by nViso’s industry-leading facial imaging technology. There is no need for discussion or projection over how an ad might be perceived, because it is analyzed with real data before it is ever created, never mind launched. The SoftLayer-enabled solution puts control back in the hands of the creatives. The whole story is here. Then there’s Yashi. This is a cloud application I find amazing! You know when you’re watching videos online, and an ad comes on before the video? Usually I find this really annoying, but Yashi has a way to make the ads relevant so you’ll keep watching. Yashi identifies and bids strategically on online video advertising opportunities. The company works with advertisers and agencies to connect them with video opportunities and there’s a system that takes a request, analyzes it and picks the best ad to fit the request. Yashi bids on it against a bunch of other companies who are also doing the same thing, and if it wins, its ad will show before that video. All that takes place in less than 100 milliseconds. Yashi needs to be able to query hundreds of gigabytes, to potentially terabytes, of data in tens of milliseconds. Softlayer partner Aerospike provides a way to access targeted information such as users’ interests and even what kind of weather is in a particular location. Every time the company adds new parameters to the things it can target, it increases the amount of data it needs to query in very close to real time. Here is the rest of the story. So next time you hear someone talking about “the cloud,” you’ll have a frame of reference that goes far beyond backup, storage, and SaaS – you might recall delivery on demand, emotional analytics or targeted advertising. I can’t wait to see what our clients dream up next.